Since I saw the Lidl AW15 range launch back in August, I've been keeping an eye out for a few pieces I earmarked. 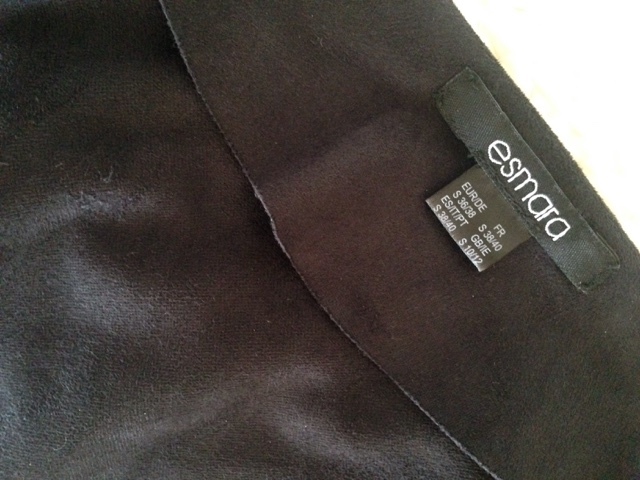 One of these is the suede effect waterfall jacket, which goes on sale tomorrow in Lidl stores for just £9.99. By a stroke of luck, I was able to secure one yesterday and get a few photos so you could see what it looks like on a non-model and then be able to get your hands on one as soon as you've dispatched the kids to school tomorrow!! The material is difficult to describe other than 'suede effect'. It's stretchy like jersey, making the jacket really comfy to wear and it's got a smooth feel to it...just like a soft suede would. It's a real touchy-feely piece! I'm wearing a size S - which is a 10-12 and I would say that it comes up generous. And a bonus for anyone with short but strong arms (as I have) - it's cut generously on the arms but not too long in the sleeve. So there's no issue with wearing a light knit underneath. I initially thought it would be more of an evening or a dressy piece but in fact, I think it will work really well in daytime too because of the stretch. Simply add a white top & jeans! 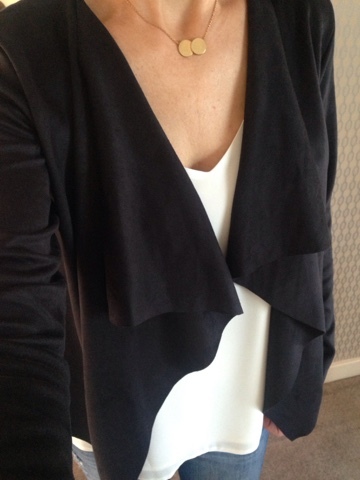 I also tried it with a cream cami top I got in tesco for a more dressy look....the waterfall neckline looks great with this style of top. All in all, it's a great jacket for the price. It also comes in a taupe colour way (see press image below) and will be in Lidl stores tomorrow morning at 9am! Looks fab. 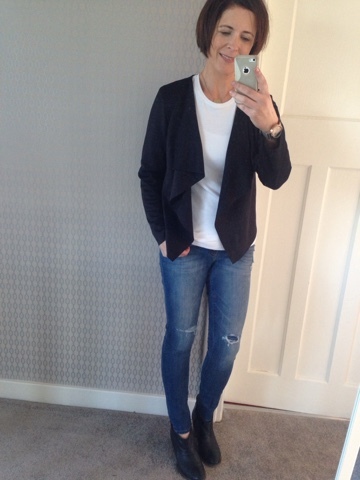 I have a black similar jacket from M&S I bought a couple of years ago and I've really hard my wear out of it but it has 3/4 sleeves so this looks like a great alternative. Would this item be available online? How do you work out which Lidl stores stock clothing? Or do they all do it? It's fab, I've never seen clothing in my local Lidl though, must search harder!